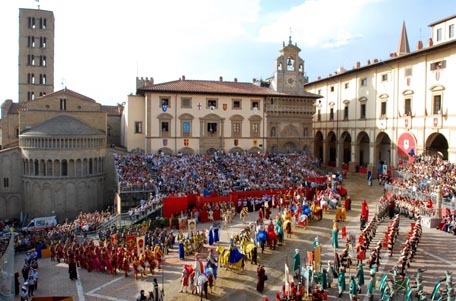 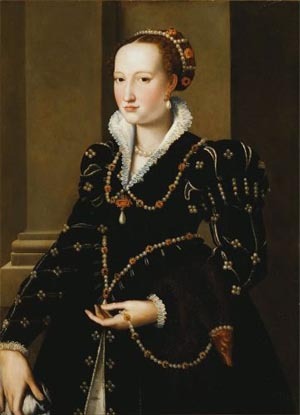 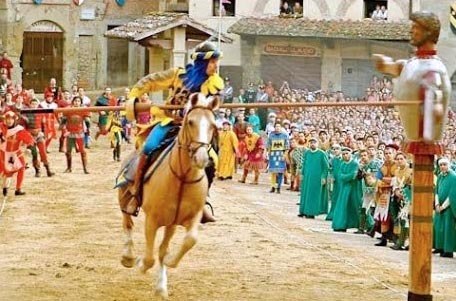 Isabella de’ Medici, her splendid spirit, and her missing painting as well as the legend of her ghost are the things that tie the story together, all set against the back drop of Arezzo and its color medieval Jousting Tournament. 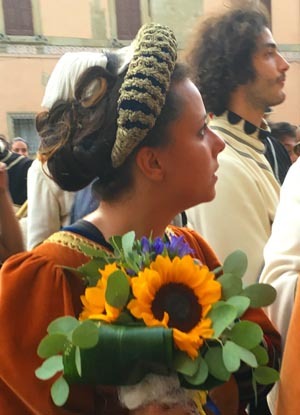 The Giostra in Arezzo is the backdrop of Waking Isabella. 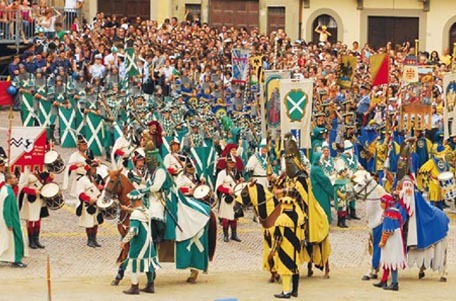 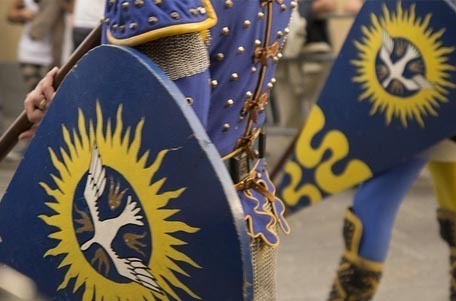 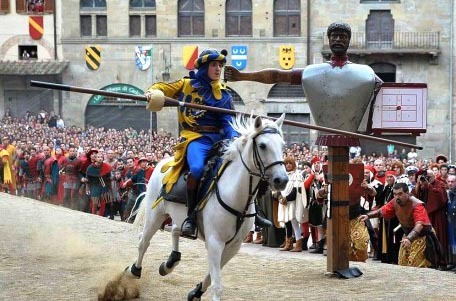 Twice a year the joust takes place in the Piazza Grande, where riders charge across the square attacking the Burrato mannequin that symbolizes the King of the Indies. 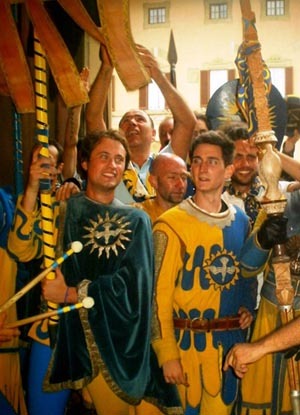 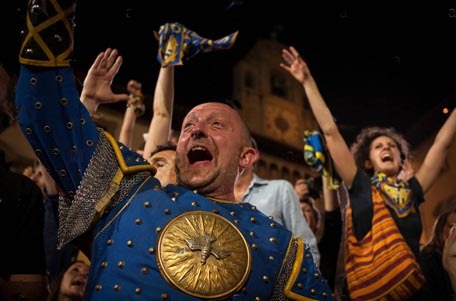 The winning jousters are awarded a Golden Lance in the Cathedral of San Donatus amidst the Cheering fans and the lovely costumed ladies.